Frost School of Music Dean Shelton G. (Shelly) Berg, along with Dr. Phillip and Patricia Frost and over 400 of South Florida's most philanthropic leaders and guests, enjoyed a festive, semi-formal evening of holiday carols, candlelight, and Hanukkah celebration at the Frost School of Music's Winter Wonderful benefit at the J.W. Marriott Marquis. 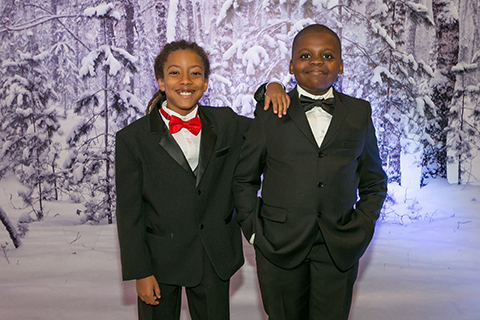 Proceeds from this distinctive annual event support the Frost School of Music's Donna E. Shalala MusicReach Program, using music as a motivating tool to positively impact the lives of more than 800 underserved children in our community. UM President Julio Frenk and Shelly Berg, presented the 2018 Frost Legacy Award to longtime patrons and supporters of Winter Wonderful, Patti and Allan Herbert. The Herberts were recognized for their philanthropic contributions to the arts, their commitment to the health and wellness of the community, and their generous support to the Frost School of Music. The Herberts are pioneer South Florida residents who met and fell in love while attending the University of Miami in the 1950s. In 2004, they established an endowment for the “Love Bridge” outside the University’s Wellness Center, with proceeds from the sale of personalized bricks on the bridge supporting the ’Canes Health Assessment and Motivation Program (CHAMP) endowment established by the couple. In 2008, the Herberts gifted $8 million to name The Patti and Allan Herbert Wellness Center on UM’s Coral Gables campus. 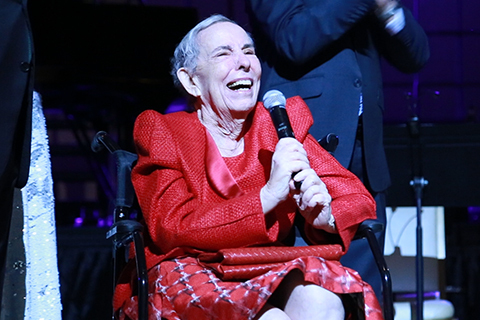 The Herberts, who are longtime supporters of Miami’s art community, gave $500,000 in 2012 to the Frost School of Music to create the Patti and Allan Herbert Endowed MusicReach Student Support Fund. In 2017, they gifted over $1 million to rename and endow the Patti and Allan Herbert Frost School of Music Program at Salzburg. Patti and Allan also renovated the historic art deco Richmond Hotel in Miami Beach, which they continue to own and operate. 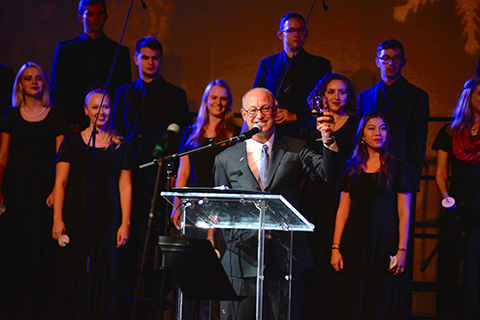 Mr. Herbert serves on UM’s Board of Trustees and the Frost School of Music’s Board of Advisors. Entering an enchanted ballroom with hues of silver, snow and ice, friends and guests of Winter Wonderful enjoyed a cocktail reception accented by sounds from the Frost School’s Winter Wonderful Jazz Combo. This was followed by an elegant three-course dinner and show featuring holiday songs from around the globe performed by over 150 FROST music students. Ensembles included the Frost Choral Union and Holiday Orchestra, Frost Chorale, Frost Herald Trumpeters, Symphonic Choir, Women’s Choir, Frost Winter Wind Ensemble, Frost Holiday Carolers, and the Stamps String Quartet. Selections by mezzo-soprano, Professor Robynne Redmon and a surprise performance by pianist Shelly Berg were also featured. Guests enjoyed inter-active group sing-alongs and a heartwarming musical presentation by MusicReach mentors and their young mentees. President Frenk’s wife, Dr. Felicia Knaul, along with UM Sr. Vice Provost Dr. Bill Green, commemorated the first night of Hanukkah with a menorah candle lighting ceremony celebrated by all. 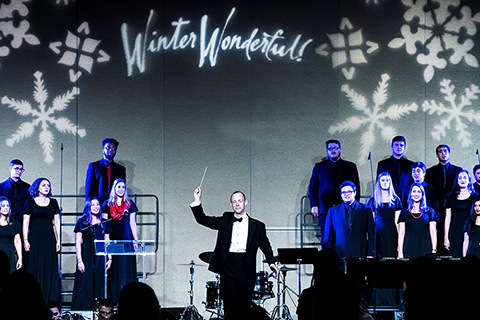 Performances for Winter Wonderful were presented by Music Director Corin Overland, Frost assistant professor of professional practice, choral studies and music education; and Jami Lercher and Wes Stoner, Frost Choral Program Teaching Assistants. 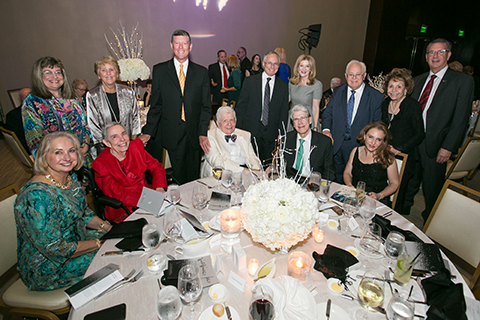 Gala sponsors include Platinum Circle patrons Lynda Gordon and family; Gold Circle donors Patti and Allan Herbert; Silver Circle donors The Miller Family, and Robert and Judi Prokop Newman; and Bronze Circle donors Ambassadors Sue and Chuck Cobb, Ladenburg, Thalman Financial Services, Inc., Donna E. Shalala, Skanska USA Building, Inc., and Grace Wang, M.D. and Steve Pabalan, M.D. Also attending were Miami Dade Mayor Carlos A. Giménez and U.S. Congressman Carlos Curbelo and Mrs. Curbelo. 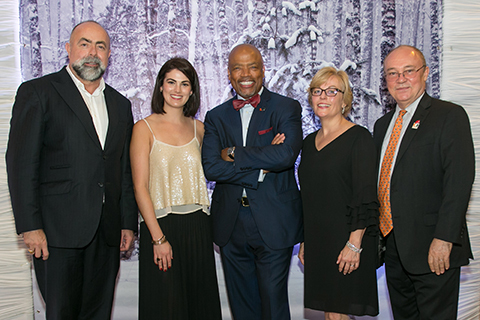 The Frost School invites all ardent patrons of the arts in South Florida to join us at next year's Winter Wonderful Frost Holiday Dinner in 2019. For more information, please visit www.winterwonderful.com. 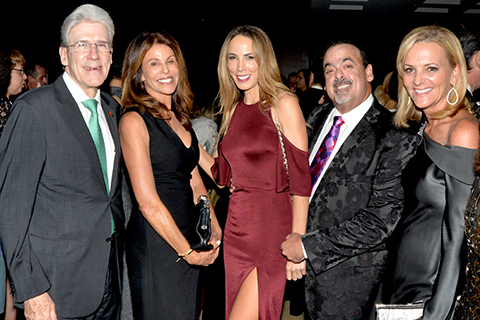 To order gala tickets or tables, please call 305-284-9766 or email EventsManagement@Miami.edu.